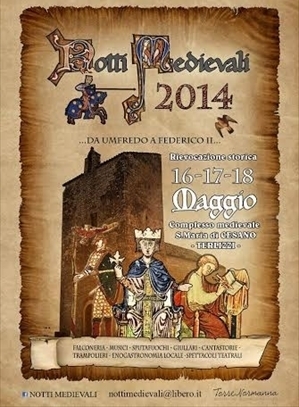 The city of Terlizzi is preparing for three days and nights of medieval splendour the festival to be held at the S. Maria di Cesano complex. Costumed figures, theatrical reconstructions and re-enactments, duels, dance, music, acrobats, fire-eaters, falconers and snake charmers are just some of the amazing sights to behold at this unmissable event. As well as the entertainment, visitors can also buy local crafts, plants, ceramics and flowers and taste local food and wine at the many stalls or in the “taverns” and “inns”.